I'm expecting some interesting comments and answers on this one, mainly because I'm probably just insane for even considering / asking this. 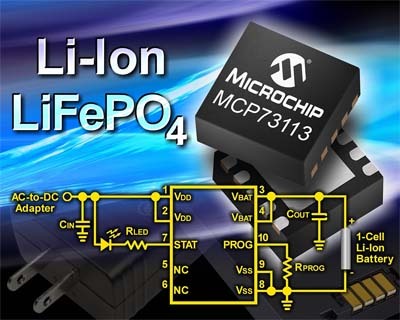 One component I want to prototype with is the MCP73123 LiFePO4 battery management IC. The problem is that it doesn't come in anything but the DFN package, which is insanely small and has very small contacts. I couldn't find any posts here, and I only found one almost-useful link online that talks about prototyping with DFN components. The problem is, it assumes that it's an option to design a PCB for prototyping. Now I realize that it's expected that someone would create a PCB, but I just wanted to test out the IC first to see how it works. So I figured, why not try to fly some 30AWG wires off of the chip and test it that way! Well, even though I seem to be able to solder the wires down, they just pop right off with the slightest tug. EDIT -- so far, I have ruined two ICs trying to solder them to a PCB. :) I received my adapters from Proto-Advantage today... would everyone recommend Chip Quik and a hot air rework station to attach the IC? I've done this a couple of times, with a bit of practice it gets fairly easy. I have done what you're describing a few times with µDFN and QFN packages. Of course the thin wires snap off very easily, but you can prevent that if you solder the tiny package onto some very rudimentary PCB, maybe a universal one. You will of course have to position your chip upside-down on the board. You can stick it to the board using chewing gum, or you can use a small hand drill to create a concave space for the chip to rest in while you're soldering. Just make it stay there and not move. You can also try to solder everything very quickly and use a glue gun to hold everything in place once you're done soldering. This whole process may take time. My first successful attempt took about 30 minutes to solder a QFN16 package upside-down onto a pcb with the concave space for the chip. Practice makes perfect. Very fine solder. For precision soldering this is far more important than a thin soldering iron tip. I use 0.5mm solder. A steady desk to rest your shaky hands on! If you can't hand solder you can always use one of these adaptors and here is another. A Hot Glue gun is handy to tack down those loose wires to make sure they don't rip off the board. Locktite makes some special stuff for that, but hot glue works well, and it easier to find. Proto-advantage, mentioned above, will actually BUY YOUR IC from Digikey and mount it on their adapter for you at a very reasonable price!! If you have a week, this is how I would go about doing this sort of task. If this is going to become a regular thing, you might consider setting up a reflow station of sorts yourself, maybe just a hot air blower. Not the answer you're looking for? Browse other questions tagged surface-mount prototyping or ask your own question. What's this special type of PCB prototyping board called? Unusual Surface Mount Package (with notches) - how to mount / solder? 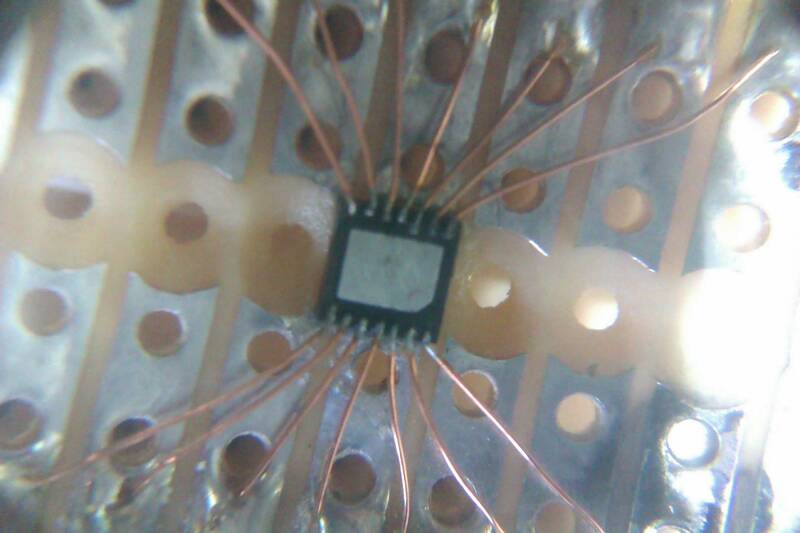 How to test QFN DFN components?